The fog-ringed peaks of the Smoky Mountains, which sprawl across the North Carolina–Tennessee border, delight year-round. 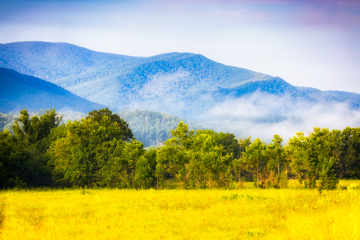 Come spring, hikers head to Great Smoky Mountains National Park, where they can trek a section of the Appalachian Trail, pausing to catch their breath in meadows bursting with wildflowers. Summer paints the mountains green and lush, while fall stipples them gold and orange as the leaves change. 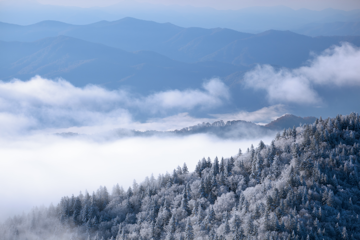 In winter, the Smokies are a wonderland ripe for skiing and all things snow: snowshoeing, snow angels, snowball fights. 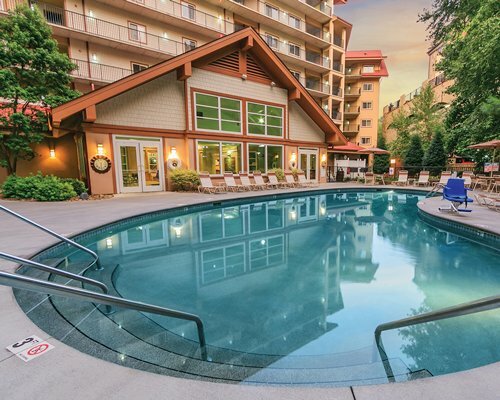 It’s easy to see why Gatlinburg is a much-favored base for exploring the Smoky Mountains: The town, a mere mile from the Smokies, is brimming with old-fashioned charm, from country ham and moonshine to wood carvings and traditional Appalachian face jugs. Nearby Pigeon Forge is home to Dollywood, where travelers can pay tribute to the theme park’s namesake and founder, country-music legend Dolly Parton. 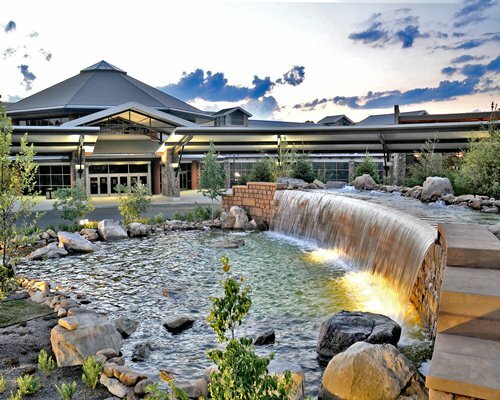 But wherever you set down your suitcase, the main attraction remains the chance to unplug among the Smoky Mountains’ forested slopes, merry waterfalls, and welcoming valleys. 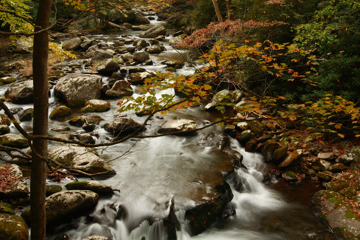 Use Gatlinburg as your base for exploring the mountains and hollers—where moonshine and country ham are still made the old-fashioned way. 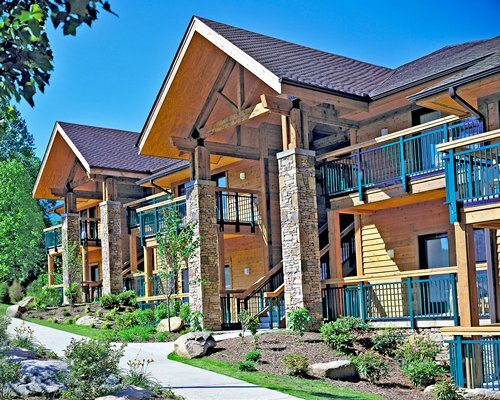 "It was great and what we have come to expect from Wyndham!" "We loved the convenience of getting into the park." "In the middle of the most visited National Park."